Back in the days of ancient Greece, if a person was faced with two equally disastrous or perilous choices, it was referred to as being “between Scylla and Charybdis”, something akin to being between the devil and the deep blue sea or between a rock and a hard place. It wasn’t merely an expression. Charybdis—who lived opposite Scylla—was said to be the daughter of Poseidon and Gaia, and inherited from her powerful parents the ability to reclaim the land and return it to the sea, which she set about doing with zeal. But this infuriated Zeus who wanted the land for himself, so he chained her to the sea floor and cursed her with an unquenchable thirst for salt water. Thus imprisoned, Charybdis spent her days slurping down vast quantities of water then disgorging it, creating massive whirlpools capable of sinking the sturdiest ships and besting even the most capable sailors. Nothing could get through the vortices she generated. In the fourth century BCE, the philosopher Aristotle recounted the tale of Aesop scaring a group of shipbuilders with stories of Charybdis’s relentless appetite. In the third century BCE, poet and scholar Apollonius of Rhodes mentions Scylla and Charybdis in his heroic poem the Argonautica, detailing the voyages of Jason and the Argonauts who managed to pass through the perilous strait unharmed having secured the protection of the gods. In his epic work the Aeneid, the tale of Aeneas whose destiny was to be instrumental in the foundation of Rome, first century BCE poet Virgil also writes of the twin terrors, describing them as “insatiable”. The old Greek stories of these female monsters do of course contain some truth about that stretch of water. The strong tidal currents, swirling eddies and the sharp rocks in the Strait of Messina continue to pose some navigation hazards for sailors. 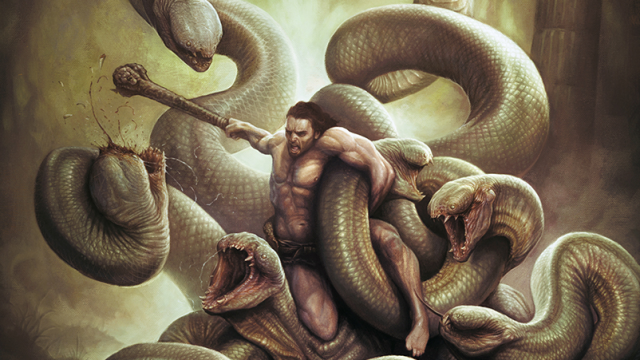 Scylla and Charybdis remain formidable monsters even if we no longer refer to them as such.